A doublt victory right on the first day of Dressur Cappeln International's premiere at Gestüt Vorwerk in Cappeln/GER. 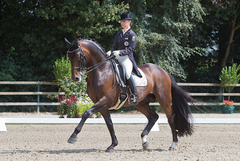 After the show in Fritzens, Augustin OLD was again in outstanding form and clearly won the Grand Prix qualifier for the Special with 75.14 percent. 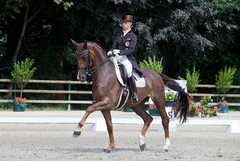 Blind Date also did a very good job and received 74.88 percent in the Grand Prix qualifier for the Freestyle – which meant victory number two on the first day in Cappeln.